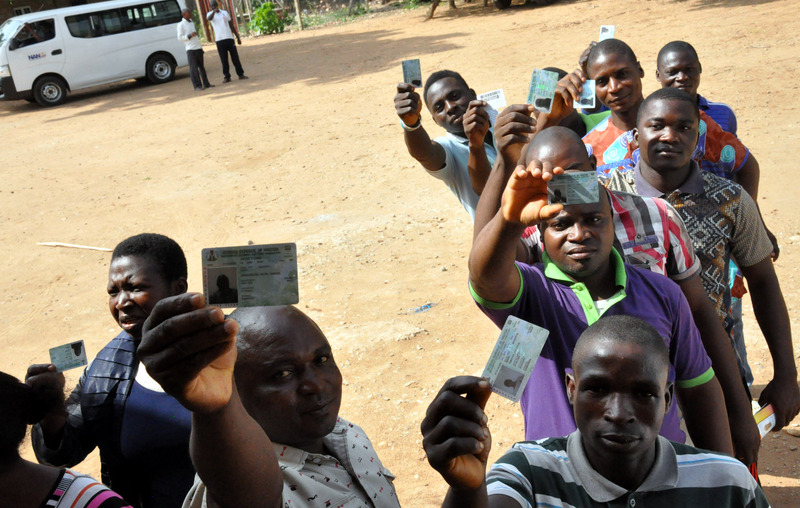 Ahead of the 2019 general election, the Independent National Electoral Commission (INEC) has expressed concerns over the non-collection of permanent voter’s cards (PVCs) by eligible voters across the country. The commission said over 17 million PVCs were yet to be collected with about eight months to the elections. National Commissioner of INEC supervising Delta, Cross River and Akwa-Ibom states, Dr. Muhammed Mustafa Lecky, made this known during a meeting with representatives of registered political parties in Asaba, Delta State, yesterday. Lecky said about seven million PVCs were not collected from the 2014/2015 registration exercise, adding that since the commencement of the continuous voting registration (CVR) exercise in 2017, over 10 million PVCs are ready and waiting for their owners to collect. “The commission is greatly concerned with the burden of uncollected PVCs; this is worrisome because it has an effect on the commission’s logistics planning. “In Delta State, we have about 300,343 uncollected PVCs, both for the 2014/2015 exercise as well as the 2017 exercise. I am, therefore, calling on you to mobilise and educate your people on the need to collect their PVCs as the burden of collection is on the owners of the cards,” Lecky said. He said the commission has taken a step further to ease the stress involved in the collection process by moving into wards for owners to have easy access. Your voters card and vote are worthless under the dead fraudulent political name Nigeria. Sokoto controls Abuja under the dead fraudulent political name Nigeria. Who votes for the criminal tout nickname sultan in Sokoto? Who votes for fulani fraudulent criminal sultanate political government with its emirates which controls Abuja under the dead fraudulent political name Nigeria? Democracy exist only under the natives Disintegrated Republics- Biafra Republic of south east, Niger Delta Republic of south south, Oduduwa Republic of south west, North East Republic, North West Republic, North Central Republic, which must be defended with the Sword in this final conquest of the Liberation Revolutionary Warfare of the natives which ends in Sokoto- the sit of the satan of this natives territory. Your worthwhile voters card and vote now is the Sword in this final conquest of the Liberation Revolutionary Warfare of the natives under the natives Disintegrated Republics which ends in Sokoto- the sit of the satan of this natives territory, which secures the natives existence and future in 21st century world. The fraudulent political name Nigeria and the dead fulani fraudulent criminal sultanate political government with its emirates came into existence in this natives territory with the Sword, not with Democratic Votes of this territory natives. The fraudulent political name Nigeria and the dead fulani fraudulent criminal sultanate political government with its emirates must also be erased with the Sword in this natives territory of Disintegrated Republics in this final conquest of the Liberation Revolutionary Warfare of the natives which ends in Sokoto- the sit of the satan of this natives territory. God given Victory is the natives. Only the Sword decides. God Is With Us!! !